Call Cosmic DJ a game, call it a toy, here's what it is in objective terms: A 32-beat musical step sequencer programmed to play various synthesizer sounds across four different pitches at a time. That description really doesn't do justice to Cosmic DJ though, because this is the weirdest step sequencer I've ever messed around with. 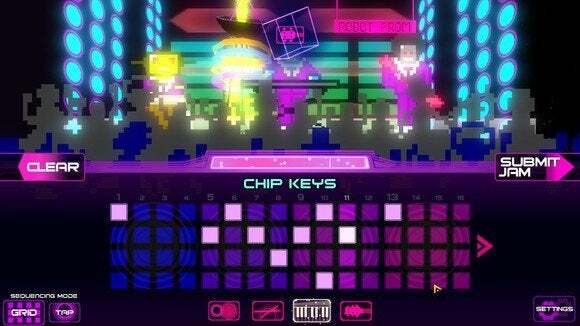 Music is the core of this game, but it's the narrative trappings around the outside that make Cosmic DJ a legendary experience. 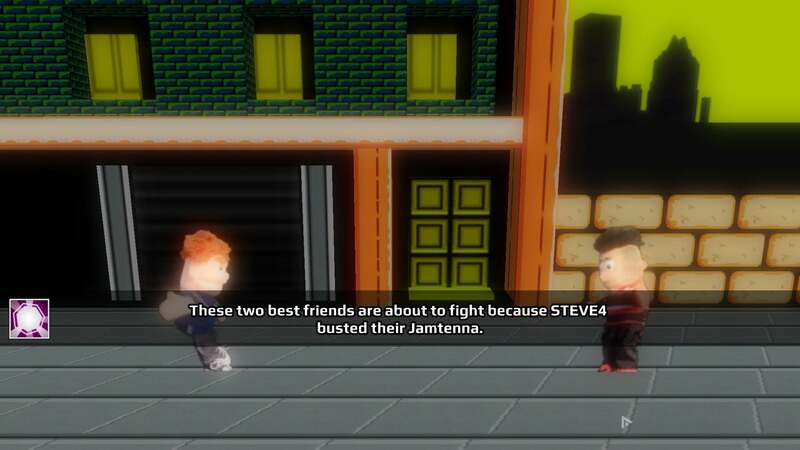 You play the part of the Cosmic DJ himself, helping STEVE3 (the Cosmic Conductor) restore power to the Jamtenna Network after STEVE4 bombarded them with bad vibes. The only way to power on the Jamtennas is with The Power of Music! 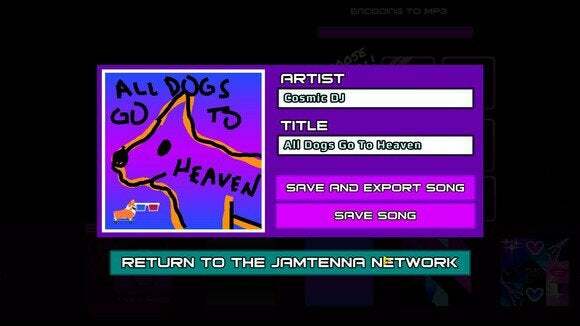 There are four major scenarios in Cosmic DJ, each with its own subset of sweet jams to make. For instance, the Robot Band broke up because STEVE4 ruined their Jamtenna, so STEVE3 (the good guy) says "We're going to visit each one of them and remind them how sweet being in a band is!" Save the taxi driver with your amazing 32-beat song made from car horns! Rescue the one who's a bartender with your amazing cocktail shaker skills! And if you think that's weird, wait until you get further into the game. 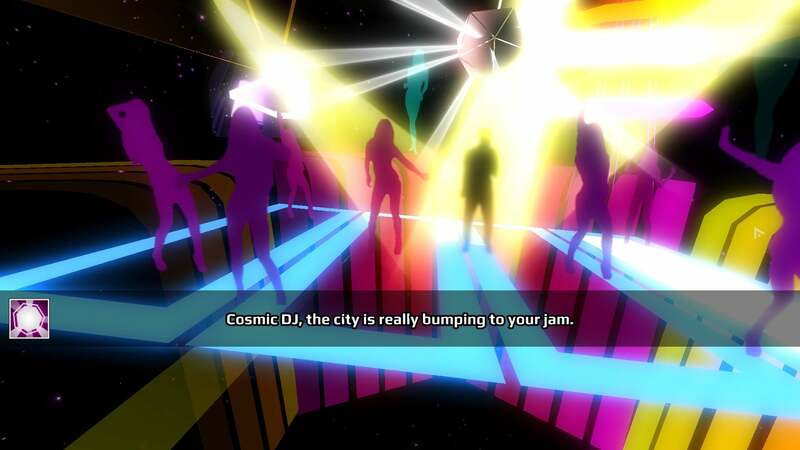 Cosmic DJ is like one of those videos they'd show in D.A.R.E. class to try and convince you that doing acid would make your mind turn into mush, except it's a video game. A tandem hang-gliding date with horses that wear retro blue/red 3D glasses? Check. A synthesizer that only makes corgi noises? Check. Two Muppets about to get in a fight? Check. A laser roller-skating party? Check. Lest you think I'm ruining the best moments, believe me—I've barely scratched the surface of the utter lunacy contained within Cosmic DJ. Steam tells me I finished the game in two hours, but it felt like I spent days tinkering with my beats and watching everything unfold in some sort of technicolor haze. Throughout it all, STEVE3 is there to shout encouragement. "I haven't seen them this psyched since President's Day!" he might yell, or "I've never seen anyone fill the jam meter all the way up before!" You're not going to make crazy complex music with Cosmic DJ. 32 beats might sound like a lot, but it's not really, and with only four pitches to mess around in per instrument you'll find yourself drawing a lot of the same patterns over and over again as you move through the levels. But the instruments sampled are creative (that dog-bark synthesizer is just one of many amazing sounds) and it's entertaining to screw around with for a few hours. Throw on some crazy lights in your room, turn up your volume all the way (or put on some booming headphones), and go crazy. After you're done with each level you even get a chance to title your jam, draw some amazing album art, and export the whole thing so you can listen to it later. Voila—you're now the musician you always wanted to be before you settled for that boring office job. Cosmic DJ 's neither long nor complex, but it succeeds at exactly what it sets out to do: making the act of creating music simple and fun. Who knows? Maybe you play Cosmic DJ, get a feel for beats and composition, pick up a real instrument because your interest's been piqued, and become a musician for life. I'm not saying that's going to happen, but it could. 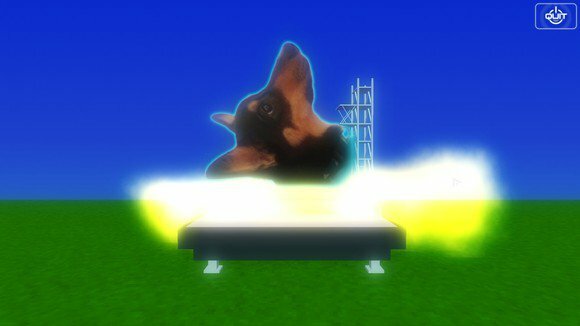 If not, well at least you got to watch a corgi blast into space. Cosmic DJ is a musical sequencer disguised as an acid trip. Crank up the volume, make some beats, and remember to smile.